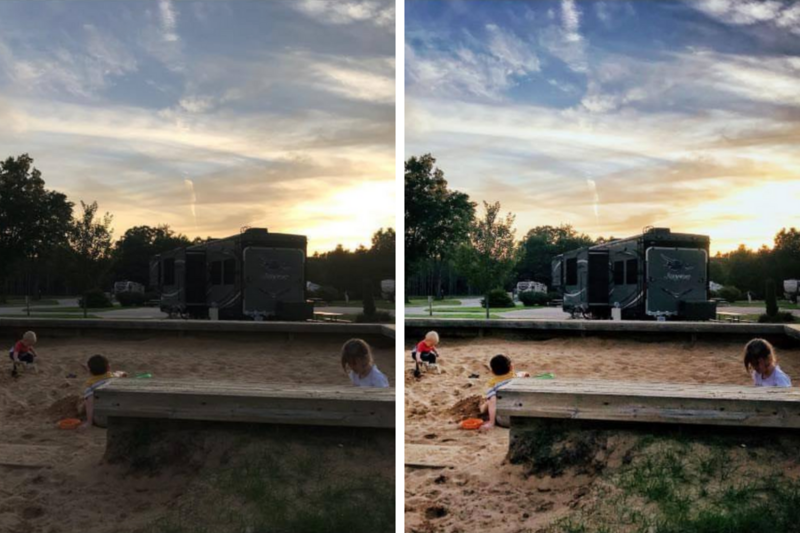 Snap and edit photos like a pro, no fancy camera equipment required! We’ve been longtime friends with Jill Krause, founder of the popular BabyRabies.com parenting website, and recently Happy Loud Life, where she chronicles her RV-living adventures with her family of 6, and longtime admirers of her amazing photos, which it turns out are often times taken and edited with her iPhone. Well, she recently launched Picture Play, a 161-page e-book that spills all her techniques for taking pro-quality photos and editing them with free or inexpensive apps. This downloadable e-book is chock full of amazing information, whether you’re just wanting to take better photos of your kids, or you want to tweak your editing skills, or really, both. She’s got tips, tricks, and real-life examples of how she does everything so that you can actually do it yourself. Want to get rid of the accidental photobomber? Took a photo that’s amazing but dang, it was too dark? She’s got you covered. If you take photos primarily with your smartphone camera, then I can heartily say this book is a must-have. Trust me when I say it’s worth the $19. Plus, you’re supporting a wonderful, mom-owned company who’s taken the time to share all of her awesome skills with the masses. Thank you, Jill!